I remember being a kid and sleeping over at my friend’s house and staying up late and watching Alien. My friend and I used to hike to the local drug store lunch counter and order up the most delicious tasting concoctions ever created on earth. So of course, while I have a special place in my heart for yummy milkshakes I hadn’t really found a good one for years. 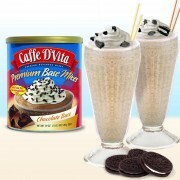 To my delight Caffe D’Vita has recreated my childhood memories in a delicious mix you can make at home without the hassle of using ice cream, which pleases both parents and kids. 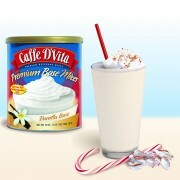 Caffe D’Vita now sells Chocolate, Strawberry, Cookies ‘N Cream and Vanilla milkshakes. I’m so glad to have my childhood favorite treat available to me again. Like a forgotten fire, a childhood can always flare up again within us.